Looking for a quick and tasty recipe to help you get more fat in your diet? With our family's busy schedule, I've started to prefer InstantPot, Slow Cooker, and No cook foods. Related: Want more recipes? Visit my Recipe Index for tons of recipe inspiration! My husband and I both work, and so we just don't have time to make complicated recipes all the time. Sure, on the weekends I enjoy creating gourmet meals (and sharing them with you! ), but the vast majority of recipes you find here will be quick, easy, and nutritious. Maybe one of these days I'll have time to hone some of my finer chef skills, but right now it's just not in the cards. 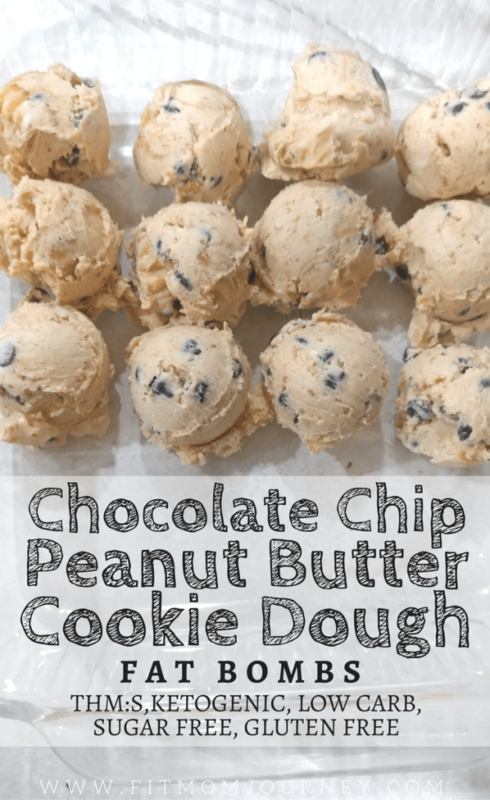 I love Chocolate Chip Cookie Dough with a swirl of Peanut Butter. And really, “love” isn't the correct word. “Adore” would probably be better. Just because I'm not eating carbs (or because you're needing a THM:S snack) that doesn't mean I have to miss out on the goodness that is Cookie Dough. 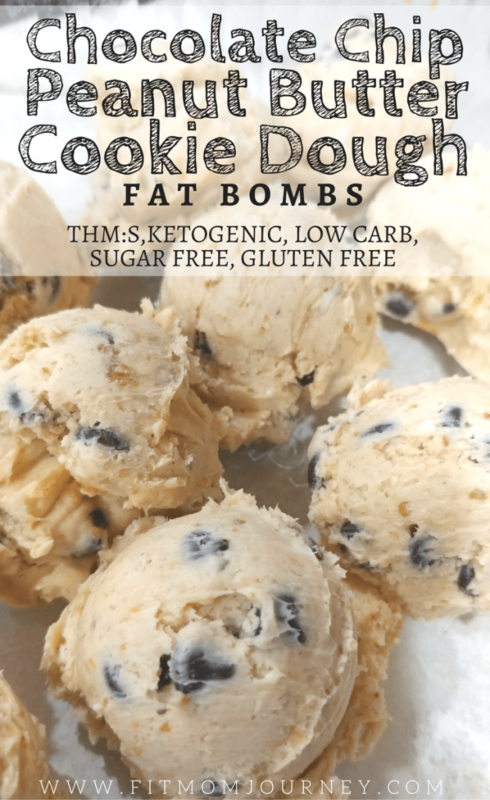 I created these Chocolate Chip Peanut Butter Cookie Dough Fat Bombs to be made easily with ingredients that are probably already in your kitchen if you're a Trim Healthy Mama or Low Carb-er. In addition, they're made from high-quality fats, not just heavy cream and stevia. A Quick Note About Nut Butters: I created this recipe with Peanut Butter, because that is my personal preference. However, peanut butter tends to be higher in carbs than other nut butters, and I know many of you out there either have a peanut allergy yourself, or are feeding a family where peanuts are not an option. So for you, I also made a batch with almond butter and sunbutter. The consistency works just as well, and the carbs are actually lower. Just sub out the peanut butter in the recipe for the butter of your choice. I've included the nutritional data for fat bombs made with almond butter, as well as peanut butter below. 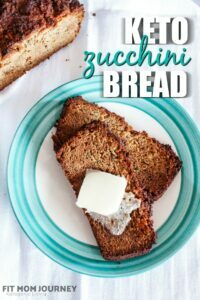 For the butter in these, I used KerryGold, because that's what is usually in my fridge, and because you can get it for $2.89 at most Aldi's. At other grocers this will probably run you more, so feel free to use whatever fits yours nutritional goals and budget. While grass-fed butter is best, it's not always in our budget, and I completely understand if it's not in yours. Just work with what you have. I've also included MCT Oil Powder in these. I recently discovered Powdered MCT Oil and have since completely quit liquid MCT Oil. Because MCT Oil Powder is MUCH easier on your digestive system, packed with exact same nutrients as liquid MCT, is about the price, and can used in cold or hot liquid and foods! 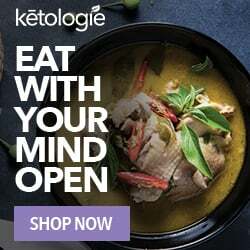 I've been using Perfect Keto Powdered MCT's (affiliate link) in this recipe and so many others. Or, if you like Amazon Prime, you can get them for about $1 more a bag there. Nutrition Facts: I've included 2 sets of nutrition facts for you here, because I made one version with peanut butter, and the other with almond butter. I don't like the taste of almond butter as well as peanut butter, but using it does lower the carbs a bit, and I know many of you out there have peanut allergies, so I wanted to give you both versions. Stir in the Lily's Chocolate Chips, then cover and freezer for about 10 minutes. When they're completely frozen, remove the fat bombs from the freezer and place in a ziploc bag or container. Store them in the freezer until you're ready to eat them! Hello! I am assuming the Powdered MCT Oil goes in step 1 of this recipe but the Powdered MCT Oil is not included in the instructions (only the ingredients). Do you happen to know if I can substitute MCT oil for the powder? I would not suggest using liquid MCT Oil. MCT oil does not solidify when cooled, so your fat bombs would have a very liquid consistency. However, you could you tasteless coconut oil, and that would firm up nicely when cooled. How much coconut oil do you think should be used? I’ve visited my daughter in the US (living in Stockholm/Sweden myself) and got the recipe for these delicious Chocolate Chip Cookie dough peanut butter fat bombs. Now I would like to make them but I have a couple of problem. 3) as I can’t get hold of MCT oil in Sweden, I saw that you recommending coconut oil instead, but how much? Does the nutrition info include the mct oil powder? I don’t have any of this. Can you use stevia? and if so how much should I use in replacement if the gentle sweet? I used your Thrive Market link and it didn’t give a percent off…. is there a code to use that I missed? 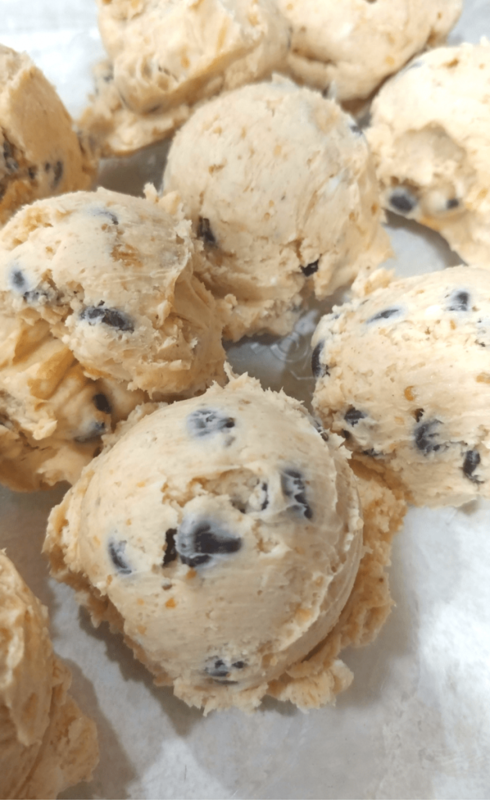 On these chocolate chip peanut butter fat bombs, if I only have MCT oil, how much do you recommend using in this recipe instead of the 6 scoops of powder? Thanks so much! 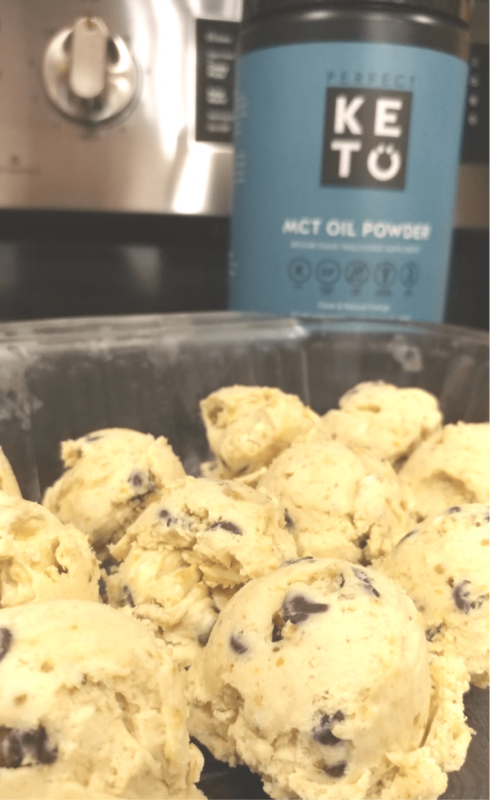 Does the powdered MCT oil help give it the “floury” texture of real cookie dough? I’ve made your regular chocolate chip cookie dough fat bombs but was desiring a texture that’s more “floury” – sorry don’t know how else to describe it lol. Anyway, if not, would there be anything you’d suggest to get that texture? We’re thinking of adding almond flour maybe? Where can Infind the nutritional info? The nutritional information is in the post. Could I omit powdered MCT oil or substitute something for it? Hi Grethen, can you give the breakdown for 1 fat bomb with almond butter? I’m not that great with my math and want to make sure my macro nutrients are correct. Hi Sandy – the macros in the post are per 1 fat bomb. I have been having trouble keeping my fat intake up. At the same time, I’ve been craving dessert. I can’t thank you enough for these. They are amazing!!! Just an fyi, I used the MCT Oil liquid and they were runny at all. Had the texture of a thick frosting. It still treated amazing. Thanks again. Can you please share the Nutriant Facts for a serving of (1) one? I want to make sure my math is on point to track my macro nutrients. I didn’t have the powdered MTC oil so i used the liquid MTC in a 1/3 cup and used two large scoops of cookies and cream protein powder from Costco, it was wonderful. Great recipe! Thanks! Thanks for the tip! you’re the first commenter I’ve seen who used liquid MCT Oil, so thank you for sharing! What kind of oil did you use with the vanilla flavored protein powder? I didn’t have chocolate chips, so I experimented with roasted pumpkin seeds in some and coconut flakes in others, I probably messed up the nutritional values a little, but they tasted great. Thank you for this recipe. I’m just 3 months into trying keto, Not losing weight yet, but I am type 2 diabetic, was taking over 100 units of insulin and still had numbers in the 200’s. In these past 3 months, my numbers are always under 150 and I take no insulin or other meds. This will definitely become a life style. I appreciate people like you discovering and sharing recipes. Can I use coconut flour instead of MCT powder? 6 scoops of MCT oil powder? What size is “scoops”? A teaspoon, a tablespoon, etc.? A scoop is not specific by any means. Six scoops using an 1/8 of a cup measurement? What is a scoop? Is this granulated or powdered sugar substitute? AMAZING! 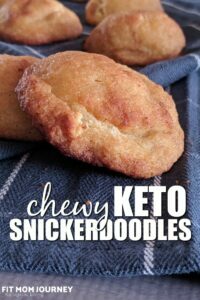 I cannot believe this is KETO friendly, it tastes TOO GOOD! Haha. Thanks for the recipe! I will be back to test more. 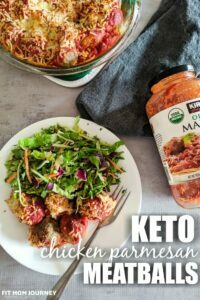 Hello, I am fairly new to Keto, but loving it! I did also notice that the MCT powder was not included in the body of the directions, but I added it when I added the chocolate chips. Is this correct? Also, the MCT Powder that I bought at Sprouts did not have the word “oil” in the label, is this the same? And there was no scoop inside so I measured out 6 teaspoons. Would this be equivelant to 6 scoops? Should I buy different MCT Powder? You do not say if the peanut butter or almond butter used is sugar free. If not, I would assume the carbs would be less if you do. Could you please tell me what 6 scoops MCT oil powder is equivalent to. I have a bag of it, but it did not come with a scoop. Is a scoop a tsp, a tbsp, or some other standard unit of measurement? Thanks! I scoop is 11g, so 6 scoops, would be 66 grams or just shy of 1/2 cup. Hope that helps! I don’t have Powdered or liquid MCT oil. Someone mentioned coconut oil instead. How much? Thank you! Okay I replaced the peanut butter with PB2 and didn’t put the MCT powder in (didn’t have it on hand) and then added a LITTLE splash of unsweetened almond milk to make it sticky and they are AWESOME! I also used Swerve for my sweetener. What flavor MCT powder did you use? 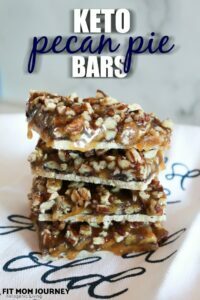 Can I use Perfect Keto Salted Caramel Powder that has the MCT in it ? Or will that just change the flavor? Yes! That will be delicious, but I would back off on the sweetener then, because the Perfect Keto Powder has some sweetener in it already.